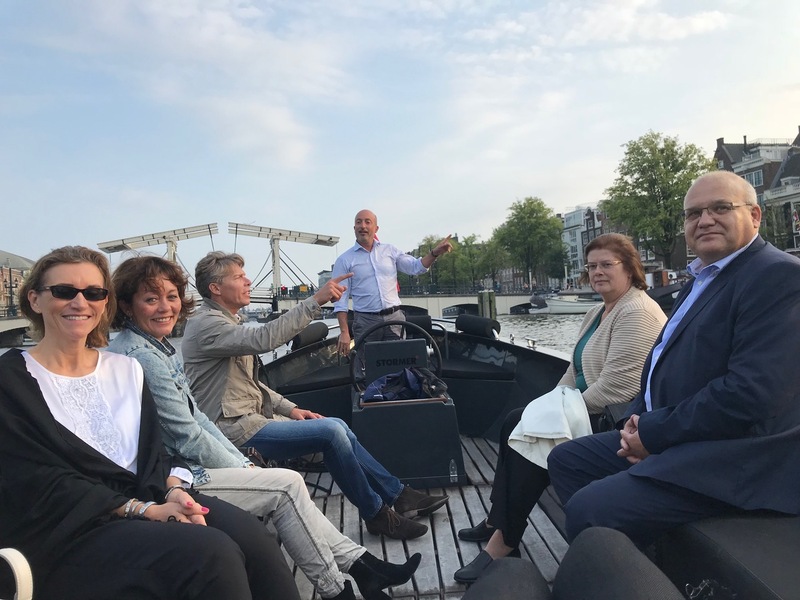 On 5 September 2018 the Czech Dutch Chamber of Commerce (CDCC) hosted exclusively for its members a traditional boat trip across Amsterdam water canals followed by a dinner. Several members enjoyed a sun flooded sightseeing tour enriched by commentaries about the Dutch capital and its citizens. After the canal cruise a delicious dinner took place in the French Connection restaurant, a charming restaurant offering modern French dishes in the heart of Amsterdam. We had the pleaseure of welcoming two special guests at this year’s event – H.E. Mrs. Jana Reinišová, the Ambassador of the Czech Republic in The Hague and H.E. Mr. Roman Bužek, the Ambassador of the Slovak Republic in The Hague. “A canal cruise followed by a dinner has gained popularity among our members which is why we intend to keep the tradition and host it also in coming years,” commented Vladimira van Aarle, CDCC.